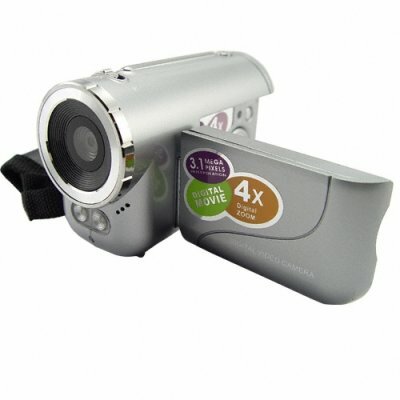 Successfully Added Mini Camcorder - Pocket Digital Video Camera to your Shopping Cart. Mini Camcorder - Pocket Digital Video Camera. Mini-size digital camcorder that records directly to SD cards and is pocket sized for maximum carrying convenience. This mini DV camera is the perfect tool for capturing events on the go. Whether you are a citizen journalist or youtube video creator, you are going to love the convenience of this model. This cameras manages to capture excellent looking video and still pictures up to in computer friendly AVI and JPG formats, making it very convenient to transfer files onto your computer and email them to friends and family. Grab one today with factory direct low china wholesale price and we'll even dropship it to your customer. I gave this to my 12 year old sister, and she went nuts with it. Good learning tool. Clear pictures and video. Easy download of pictures and video. Actually fits in the palm of your hand. Awesome product. A must buy for the holidays!! !